The Allen Bradley MicroLogix 1100 PLC is mounted on a pre-wired frame that facilitates easy connection. 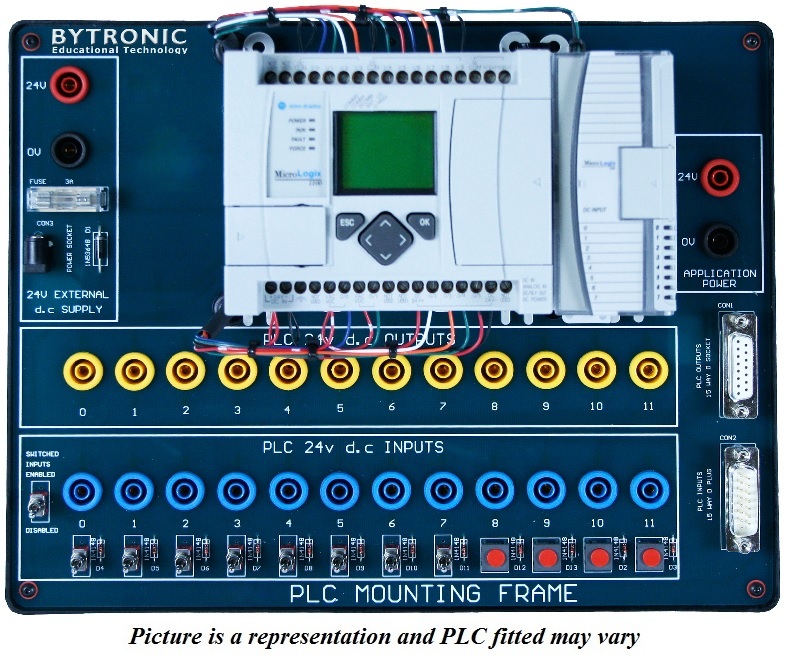 The mounting frame gives access to the PLCs I/O capabilities providing an effective means for the student to test and debug their program prior to connecting to the application. All inputs and outputs are accessed via colour coded safety sockets (4 mm) and ‘D’ type connectors. There are connections provided for 12 inputs and 12 outputs. Simulation of inputs is provided by both toggle and momentary switches. The ‘D’ type connectors also allow easy connection to other Bytronic products.